Today two sections of the Great Harbour Way/ Te Aranui o Pōneke became safer for walking and cycling as new speed limits came into force. 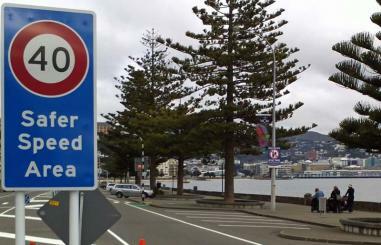 40 km/hr limits now apply to Oriental Bay and the route around the northern end of the Miramar Peninsula. A number of people who on these new speed limits mentioned the GHW as a reason for having lower speeds.